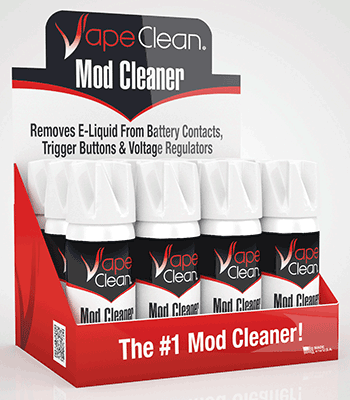 Vape Clean• Mod Cleaner safely cleans E-Juice build-up from battery contacts, trigger buttons, charger contacts and voltage regulators. Safe on plastics, rubber and metal. Fast drying, leaves no residue and is non-conductive. Patent Pending.